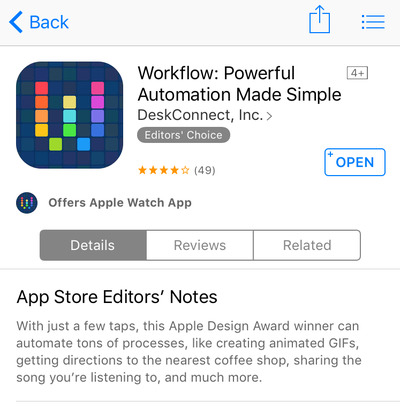 Apple bought an app called Workflow on Thursday. The app automates stuff you do all the time on your iPhone and iPad and turns those tasks into a simple button. But instead of killing the app, as Apple usually does when it acquires a startup, Apple made it free. 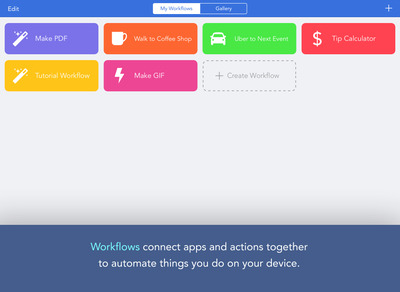 Basically, Workflow is like a Swiss army knife for completing complicated tasks, which the app calls "workflows," on the iPhone or iPad. For example, you can use Workflow to make GIFs out of photos in your camera roll, automatically make websites into PDFs, delete screenshots from your camera roll, and much more. 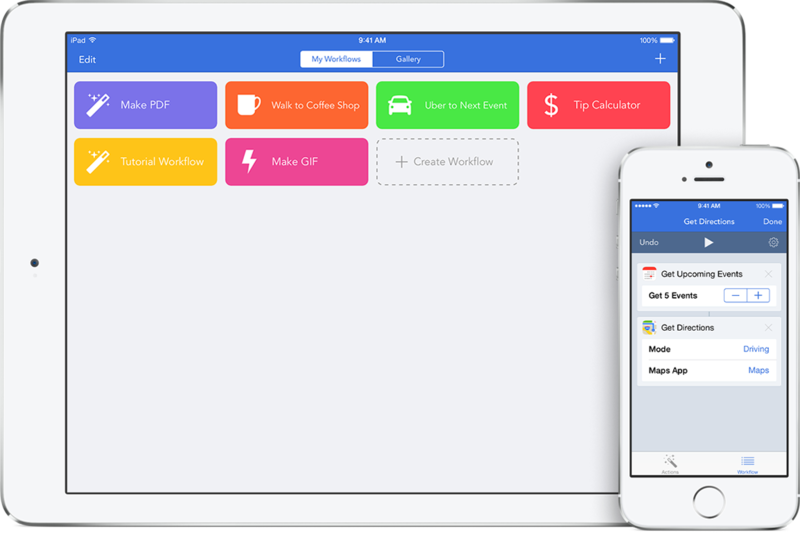 Workflow is designed to make you more productive on iOS, and it has the potential to replace entire apps on your home screen. 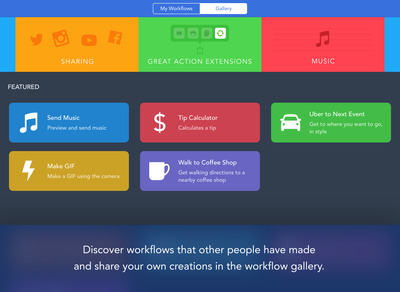 Workflow is now free in the App Store. It used to cost $2.99, which was a fair price. Each colored thumbnail in the app represents a different workflow. There's a gallery of other people's workflows that you can download for free. If you're not good at scripts, this is the most useful part of the app.